« Evidence? Who needs evidence? 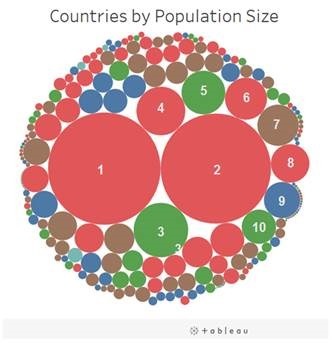 For the populations of the top 10 (and all the other country-bubbles) click thru to a very cool Tableau infographic. This entry was posted on September 6, 2017 at 6:59 am and is filed under Data visualization, Demograhics, Geography, Infographics, Population, Visualizations. You can follow any responses to this entry through the RSS 2.0 feed. You can leave a response, or trackback from your own site.